The revocable living trust is a very useful estate planning tool. These trusts are widely utilized by people who do not consider themselves to be wealthy. Revocable living trusts allow for efficient control of assets while you are living. This type of trust will also facilitate timely asset transfers after you pass away. The individual who is establishing the trust is called the grantor of the trust. At first, the grantor of the trust would typically serve as the trustee and the beneficiary. As the trustee, you direct the actions of the trust, and you can receive monetary distributions from the trust. The long-term objective is to use the trust to transfer assets to an heir or heirs after you pass away. To make this happen, you name a successor trustee to administer the trust after you die. The successor trustee can be someone that you know, but it could alternately be a professional fiduciary like a bank or a trust company. When you create the trust agreement, you set forth terms that the trustee must follow after you pass away. After your passing, the trustee will distribute assets to the beneficiary or beneficiaries in accordance with your wishes. These distributions would not be subject to the legal process of probate, and this is one of the primary benefits that you gain when you use a revocable living trust as a vehicle of asset transfer. Probate is a legal process. If you use a will to transfer your personal property, the will must be admitted to probate before the heirs receive their inheritances. This process can be time-consuming, and there are also considerable expenses that can accumulate during probate. Another advantage that you gain when you use a revocable living trust is the incapacity planning component. You can empower the successor trustee to administer the trust in the event of your incapacity. If assets that you convey into a revocable living trust earn taxable income, you do have to report that income when you are filing your tax return. You can file it on your personal return, but in some cases, the trust itself will file a separate return. We should also touch upon the federal estate tax. If you are exposed to the estate tax, assets held in a revocable living trust would be looked upon as part of your taxable estate although married couples may use a trust to provide estate tax protection. 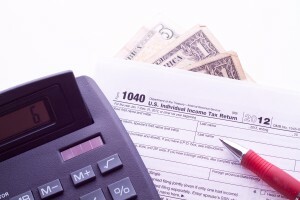 Taxation is something that you should take very seriously when you are planning your estate. If you would like to learn the facts, our firm can help. We offer free consultations, and we would be glad to assist you. To schedule an appointment, send us a message through this link: Ashland KY Estate Planning Attorneys.